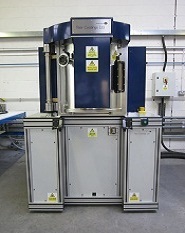 Teer Coatings Ltd » Thin Film Coatings » UK | Products & Services . 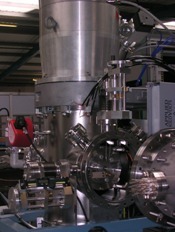 Teer Coatings Ltd design and manufacture coating deposition systems incorporating unbalanced magnetrons in the patented closed field arrangement. Teer Coatings Ltd have one of the best equipped production PVD coating facilities in the world, and are able to offer an extensive range of coating services on a production basis. Teer Coatings Ltd. offers a wide range of special coatings in addition to those already in routine, serial production. 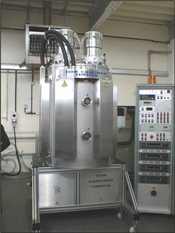 Teer Coatings Ltd have been involved in a continuous programme of magnetron development and improvement since 1986, resulting in the well proven PLASMAG™ range of magnetrons. 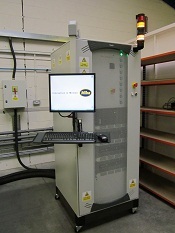 A range of coating testing equipment designed and manufactured by Teer Coatings Ltd.
Teer Coatings Ltd have a wide range of test equipment in house, allowing us to provide a comprehensive testing service on a sub contract basis. 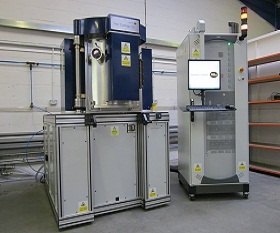 A new instrument for the deposition of size-selected atomic clusters is now available from Teer Coatings Ltd. Ongoing and subcontract research & development into coatings, coating processes, and deposition and test equipment. Due to an ever increasing volume of UDP coating systems in the field and the associated demand for backup on those systems, Teer Coatings Ltd have launched a dedicated Technical Support & Service Department.